This fun R2-D2 robot is a little bit bigger than the original R2-D2, although there is a good reason for that as it can fit a full sized person inside. 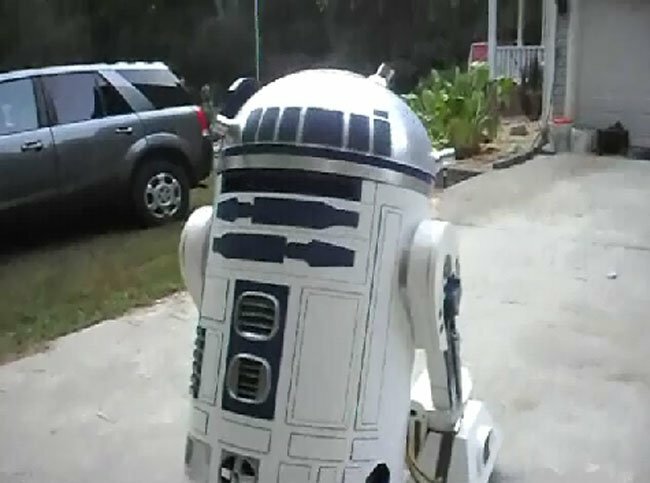 As you can see in the video below, this fun R2-D2 comes complete with LED lights and R2-D2 sound effects. Very cool, it looks like it would make an awesome halloween costume.